full functionality in the shortest amount of time. performed in our office, may help you return to a pain-free life. recommendations you are sure to get better." Now seeing patients at our new Holly Springs location. Dr. Sameer Mathur of Cary Orthopedics Spine Center for Minimally Invasive Spinal Surgery has dedicated his career to providing his patients with the most advanced solutions to spine issues. Dr. Mathur works to give full relief from back and neck pain using the least invasive treatment options. We offer a variety of effective, diverse treatments to resolve pain symptoms. In some cases, the best solution may not be a surgical one at all. We also offer non-invasive stem cell therapy to help repair damaged spinal discs. Need a second opinion on a back surgery recommendation? Dr. Mathur can also lend his expertise as an unbiased outside party to help you find the best course of action for your health and well-being. 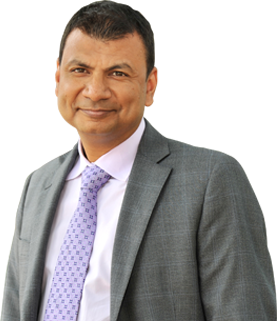 For conservative, comprehensive, and compassionate spine surgery in Raleigh, North Carolina, schedule an appointment with Dr. Mathur. We have several offices around the Triangle, allowing us to reach patients from Durham, Cary, and beyond. If you have any questions about our treatment options, feel free to call us at (919) 297-0000.